Perth father responds to ‘blackface’.. The father who shared a controversial image of his son dressed as Ben Cousins with flour on his nose said he did it to highlight the ‘double standards’ many people had when it came to being offended. 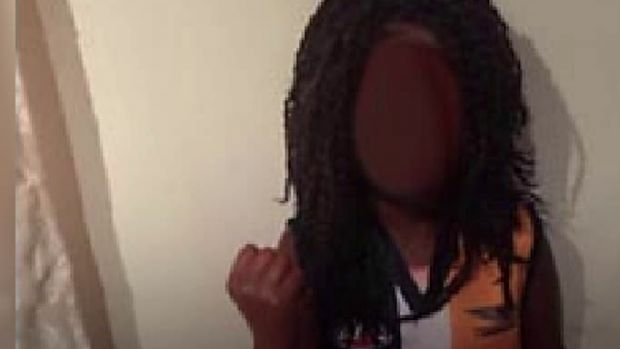 It follows last week’s outrage after a mother dressed her son as Nic Naitanui, painted in blackface. Daniel Johnson shared the image on Facebook, telling Neil Mitchell ’90 per cent’ of the feedback he got was from people finding it ‘funny and hilarious’. ‘Why can we laugh at Ben Cousins and the drug culture, but have a cry about somebody dressing their child up like a hero?’ Mr Johnson said on 3AW Mornings. Mr Johnson stressed his son did not go to school dressed that way, rather a character from ‘Goosebumps’. He said the seven-year-old boy had no idea about Cousins’ drug problems.